Mattresses that haven’t been professionally cleaned are a breeding ground for odors, allergens such as dust mites, pet dander and other harmful substances. 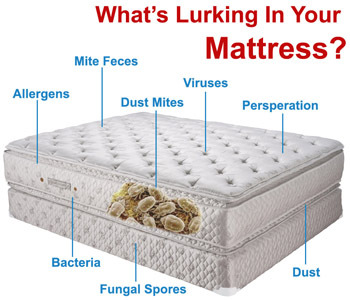 Stains, germs and decaying biological materials are often found in mattresses due to their constant use. 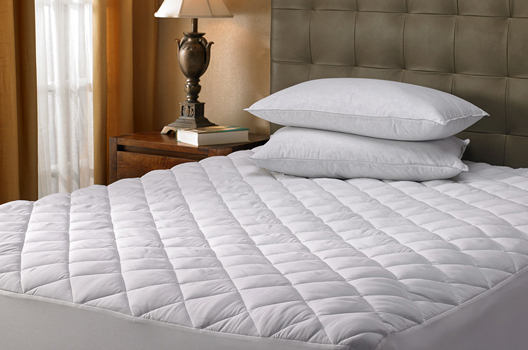 You no longer have to tolerate dirty, smelly and microscopic creature laden mattresses. Professional steam cleaning will ensure that these surfaces will be sanitized. Enjoy a stress-free sleep and peace of mind, your mattress can be as clean as the day you bought it.Preferred Carpet Care is your go-to company for mattress cleaning. Got bed bugs? Here are a couple of icky facts about dust mites. You need a magnifying glass to see a dust mite, and a mattress can have tens of thousands living in it. Dust mites feed mainly off dead skin shed by humans and animals. They can carry allergens – small foreign proteins that can cause allergic reactions in people. Steam cleaning is the easiest way to get rid of the nasty little creatures. A thorough steam clean will heat up your mattress far beyond the 120 degrees Fahrenheit required to kill bedbugs. The best part is that steam will kill both the bedbugs and their eggs and without the use of dangerous chemicals and pesticides. Is your bed clean? Your mattress might look clean but a closer look might reveal the following: Bacteria, Dust Mites, Mite Feces, Fungi, Dander,Stains, Germs, Viruses, Perspiration, Allergens. The only way to rigorously clean dirty mattresses is to get a professional to steam clean them. The steam thoroughly cleans the mattress and removes nasty odors and bacteria in a way simple vacuuming and scrubbing never can. The cleaning process works by using steam to remove dirt and other debris while killing many organisms that may be present. Steam cleans by breaking the bond that holds dirt and other debris onto a surface. Best of all, steam cleaning does not require the use of cleaners in many situations. The heat of the steam also kills many organisms that can live in mattress including bed bugs. Keep in mind that a professional can rid your mattresses of substances that regular cleaning that you would do yourself may not be able to do. So, for best results, call a professional for all your mattress cleaning needs. Remove layers of dirt, bacteria, allergens and dust that have accumulated in your mattress for years to have your mattresses professionally steam cleaned. Be Sure Your Mattresses Is Cleaned by the Best. 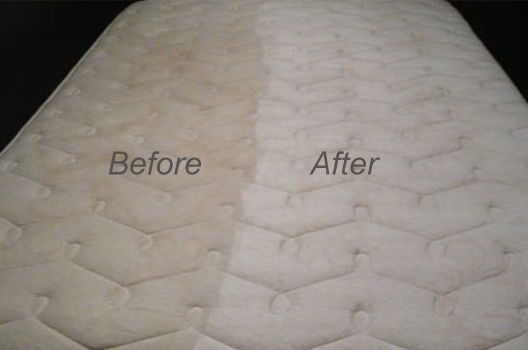 Breathe new life into your Mattresses and let Preferred Carpet Cleaning take care of your Mattress cleaning needs all of our service comes with our 100% guarantee! We are here to offer our services without any delay. 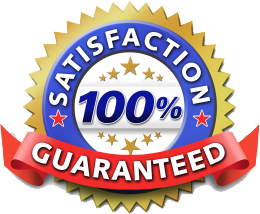 Our superior mattress cleaning service will give you great value for your money and you are guaranteed to be satisfied after we complete our services with you. Contact Preferred Carpet Care today at to schedule an appointment. You will be happy that you chose us. “We are a small company,” and we plan on staying that way. Staying small makes it where we never have to compromise on the quality of our work and the friendliness of our customer service. But for a small owner operated company, we still do cover a lot of ground for our customers. We offer our carpet cleaning services in Auburn, Bellevue, Bothell, Edmonds, Everett, Issaquah, Kirkland, Kenmore, Lake Stevens, Lynnwood, Medina, Mercer Island, Mill Creek, Mountlake Terrace, Mukilteo, Redmond, Renton, Sammamish, Seattle, Shoreline, Snohomish, Woodinville and surrounding areas.